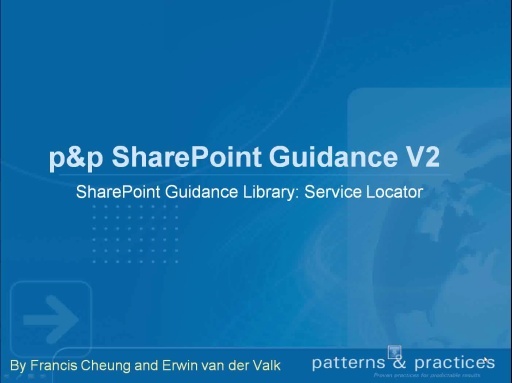 What is in p&p SharePoint Guidance v2.0? 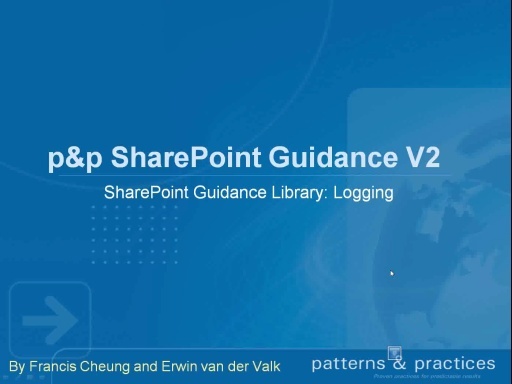 patterns & practices released SharePoint development guidance v1 back in November of last year. 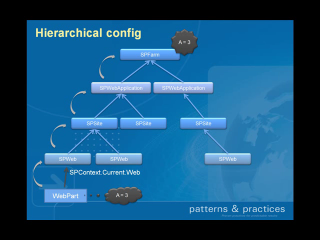 Check out this video for a brief overview and the patterns used. 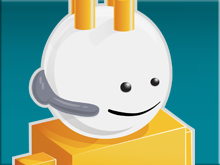 Check out the CodePlex project site for more information. 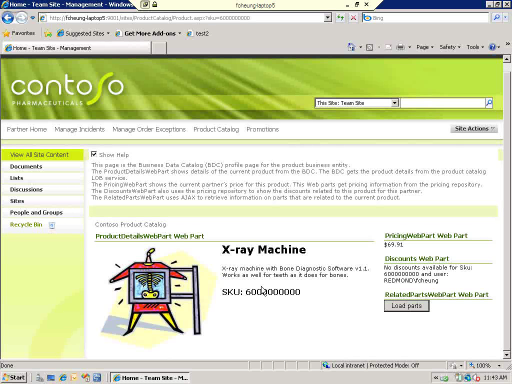 We run two week iterations and release the source code and guidance from each of these iterations into our CodePlex project site. We are planning to do a video with every drop that will guide you through the content. 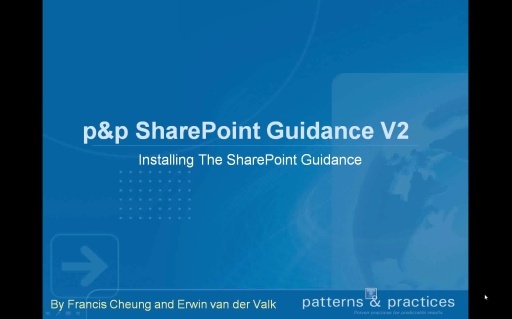 We are very interested in your feedback on the guidance. So please let us know what you like and what you don't. Of course, you could tell us if you liked the video or not as well. 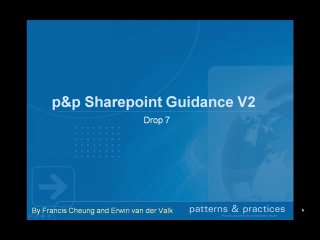 Watch this Channel 9 blog for the video based on Drop 6 to be published shortly. Please subscribe to this RSS feed if you don't want to miss a beat. 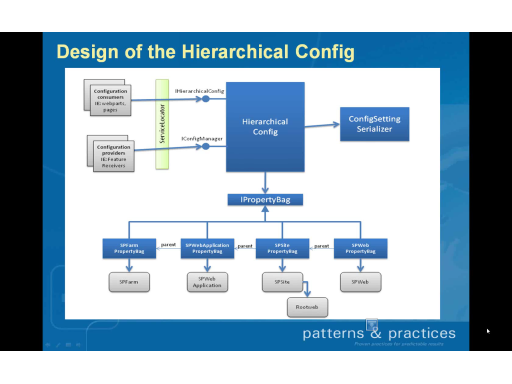 patterns & practices Summit 2009 - Register Now! p&p SharePoint Development Guidance v2 - What's in Drop 9? 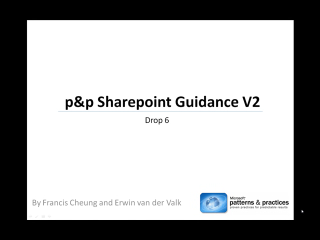 p&p SharePoint Development Guidance v2 - What's in Drop 8?